We honestly couldn't wait to see these pictures shot by Yvette McField, because we knew they were going to be extra special. This young couple from Pensacola, Fl. 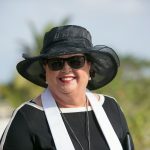 arrived on a cruise ship, and we took them to Governor's Beach for an early morning wedding. It was a perfect morning, not too hot, and the colours of the sea were almost unbelievable. 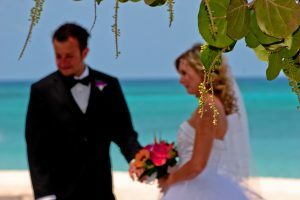 These are the kinds of conditions that make Grand Cayman a Top Beach Wedding destination. 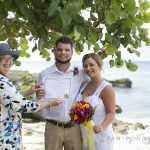 Since this couple were traveling alone, we provided the witnesses required by law. 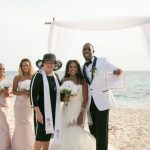 They chose the all-inclusive Cayman Cruise Wedding package which includes transportation, witnesses, flowers, champagne, photography and added videography as they wanted a video to show their friends and family back home. We are very proud of the photographers and videographers we use because we know we provide an outstanding service to our clients. We are happy when you request a photographer by name. These pictures were shot by Yvette McField. Sometimes you get the perfect wedding shot! Isn't it lovely to be newly married? This is a highly affordable cruise wedding package, for less than $2000. 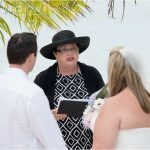 Call to book today and have an unforgettable wedding experience on beautiful Grand Cayman Island.